On an uninviting Sunday morning in January, I was driving south from Berlin when I passed a sign for “Beelitz-Heilstätten,” a derelict and abandoned 19th century tuberculosis hospital. I recognized it immediately as one of the most popular targets of “urban exploration,” a movement which seeks infiltration and, in many cases, the opportunity to photograph derelict urban structures. This endeavor often involves trespassing. The haunting images produced by urban explorers had long appealed to my aesthetic sensibilities. As a medical historian, it was the frequency with which medical sites are the object of this particular kind of artistic discovery that held my attention. According to Steven High, author of “Corporate Wasteland”, this is a typical story of an “urban explorer” in the making. Many members of the movement recall experiences of discovering derelict industrial and urban structures in their immediate neighborhood as they were growing up. Of course, the term “urban exploration” had not yet been coined, and as a solitary, curious child, there would not have been conscious sense of being part of a broader movement. Simon Cornwell, an urban explorer based in the UK, believes that it was the internet which offered a “fascinating resource for people with obscure interests and hobbies to find each other,” which turned isolated adventurers into participants of a contoured, post-industrial movement. Cornwell owned one of the first UK websites dedicated to Urban Exploration, and other sites, forums and published user guides quickly followed. In the United States, “Ninjalicious” Jeff Chapman established the ‘zine, Infiltration in 1996 which was dedicated to urban exploring. By the time of Chapman’s death in 2005, hundreds of members of the community mourned the loss of a man who, in their eyes, had given the movement not only a voice but also a common spirit. This tension between the experience of the self – exploring one’s own abilities and limits – and the experience of the environment – exploring one’s surroundings – is paralleled by another tension: that between the meaning of urban exploration as art or documentation. Schmitt’s photographic creations are mainly intended to “invoke pleasure, and invite reflection in the spectator in the best of cases.” They are not, he insists, a “documentary, realistic representation of the space, but rather […] attributed to the artistic sector.” Cornwell, on the other hand, although his photographs clearly appeal to an aesthetic sense, also understands his work as an act of archiving. “I’m very conscious of the fact that what I am doing is a record and has to be represented in the best way I can, so that the people of the future can piece together what I am taking a photo of,” he says. 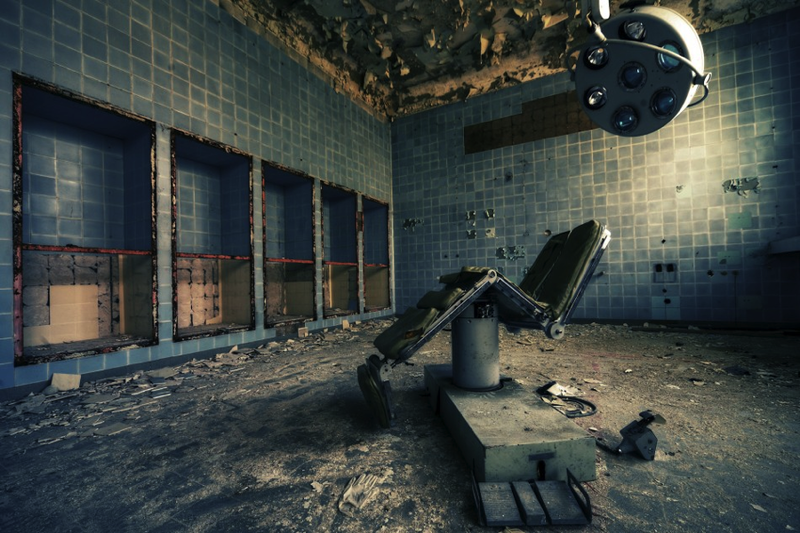 Not all urban explorers believe in providing context for the images they produce, and their images are sometimes criticized as perpetuating an imprecise illusion of timeless, archetypical hospitals, asylums, and factories. Cornwell’s website, however, is rich in contextual information about the sites he visits. His photographs are arranged by location and often feature several views of the same building with precise information on their relations to one another. “The picture tells a story, and taking the picture tells a story,” he continues, “but also the picture itself is of a place, is of a location, which may not survive much longer. It will be changed, or rather be demolished.” His urge to document and his mission to ensure demolished buildings can be identified and preserved visually is palpable in every photograph. Cornwell’s fear, that these special places are under threat, is not unfounded. 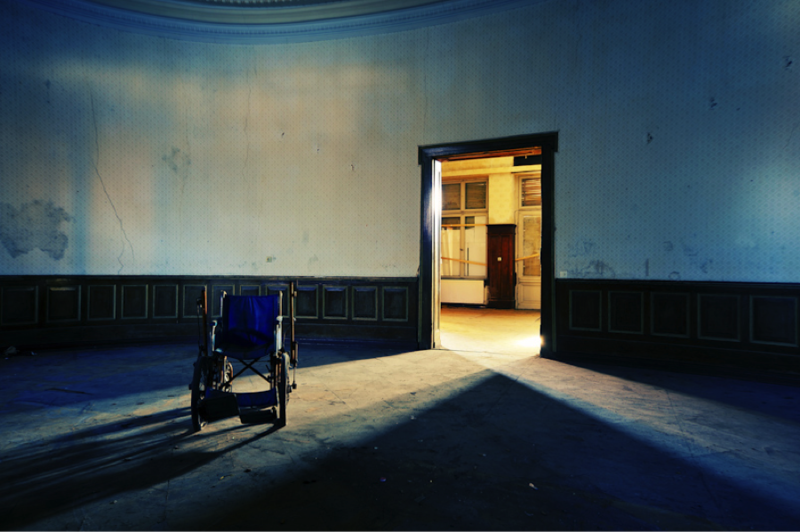 Many of the sites he has photographed, for example the Cane Hill Lunatic Asylum, have since been demolished. Cane Hill was largely torn down between 2008 and 2009, as several attempts to list the building had failed. The reasons for once-functioning institutions to be abandoned and sometimes torn down are many, says Schmitt. Apart from “change of any kind – structural, cultural, political, or social,” it is often “miscalculations on the part of the owners” which lead to abandonment. 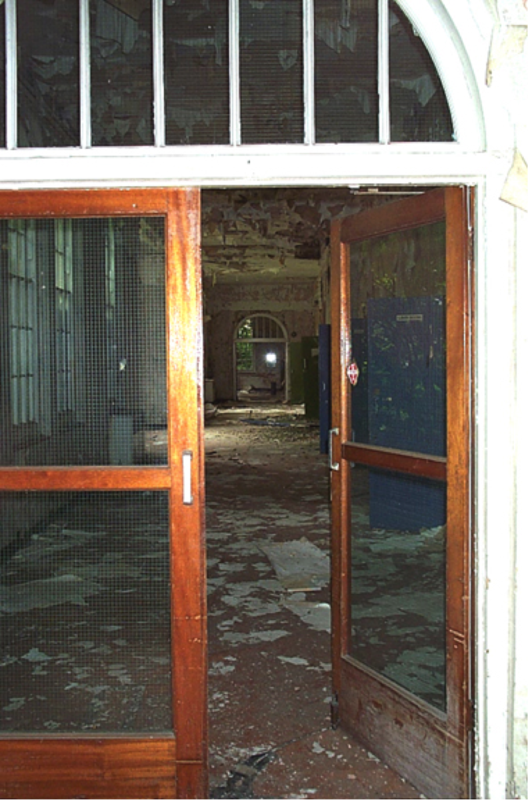 Cornwell adds that in the case of the asylums, dereliction was accelerated by the advent of new therapeutic treatments and a changing understanding of what it means to be mentally ill.
Urban exploration as historic documentation is the reason why Cornwell has in the past been contacted by historians researching asylums, why he has appeared as an “Asylum Historian” on the BBC4 program “Restoration,” and why his website has been included in the Web Archiving Consortium by the British Library. The problem may be partly that preserving spaces poses very different challenges than preserving paper records. 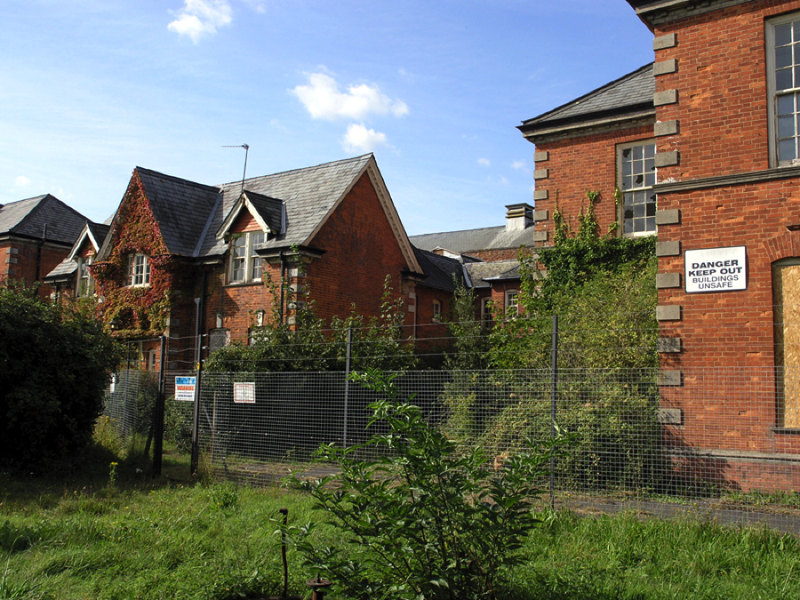 The situation may be less critical for sites of industrial heritage than for abandoned medical and psychiatric facilities. In the early 1970s Industrial Archeology became a recognized field of study and action with a set of conservational and academic aspirations. Since then, associations such as the Society of Industrial Archeology in the United States, and its British sister organization, the Association of Industrial Archeology, strive for the preservation and documentation of significant spaces of our industrial and technological past. Yet the preservation of medical sites is not so well-documented, nor does it have as many advocates. This may partly be the result of the way in which medical history has been written in the past. Until the 1930s, much of the history of medicine was mostly describing how medical thinking changed over time. From the 1960s, calls for a medical history which focused on practice became louder. Yet the idea that space is a crucial determinant and manifestation of medical theory and practice is a fairly recent historiographical focus, developed largely in the late 1980s and 1990s. The contributors to REMEDIA’s themed set of posts around the relations between “Space and Medicine” are among those who grapple with important but only recently-considered questions about the relationship between the contents and the contours of healing, who view buildings and spaces as historical sources for an inquiry into the medicine of the past. Driving past the sign for Beelitz-Heilstätten on that particularly dreary Sunday morning, I could not resist stopping and taking a look. It turns out I would make a terrible urban explorer. I allowed myself to be deterred by a large yellow prohibitive sign at the entrance of the area telling curious passers-by not to enter the site. 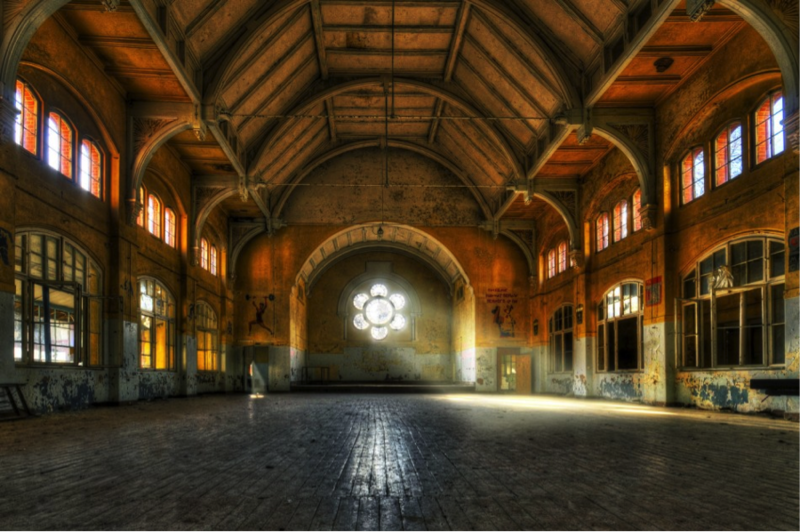 But even looking at the outside of the pale-yellow buildings with their large, almost church-like windows, I experienced a fraction of that excitement and curiosity I had read about from other urban explorers telling of their ventures. Walking around Beelitz, I was overwhelmed by a sense of haunting familiarity. The photographs I had previously seen changed as a result of this first-hand encounter, and in a way, the photographs had also pre-programed my aesthetic experience of the place. They had tamed the very same roughness they were trying to convey. But as a historian, seeing Beelitz caused me to feel a similar sensation to what I experience when I come across a particularly evocative, unexpected archival gem: a sense of closeness to a specific historical moment I am trying to uncover and bring to life for others. Stephen High and David W. Lewis, Corporate Wasteland: The landscape and memory of deindustrialization (Ithaca, NY: Cornell University Press, 2007)”: 47-48. High and Lewis, Corporate Wasteland: 46, 48. In 1937, Richard Shryock famously criticized a historiography of medicine focused on great physicians and great discoveries, and called for a rapprochement between what he saw as a narrow, internalist history of science and medicine, and general history. Richard Shryock, “The historian looks at medicine.” Bulletin of the History of Medicine 5 (1937): 887–894. For example Erwin Ackerknecht, “A Plea for a Behaviorist Approach in Writing the History of Medicine,” Journal of the History of Medicine and Allied Sciences 22, 3 (July 1967): 211-215. For a useful and programmatic overview of this development, see Adi Ophir and Steven Shapin, “The place of knowledge: a methodological survey,” Science in Context 4, 1 (1991): 3-21.